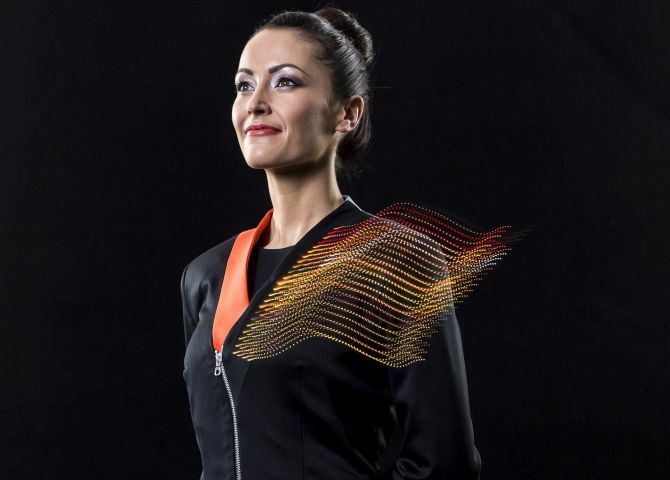 EasyJet joined hands with CuteCircuit, London-based wearable tech fashion brand to design these smart uniforms. The fashion tech brand has also teamed up with the likes of Katy Perry, U2 and Nicole Scherzinger in the past to create techie outfits. 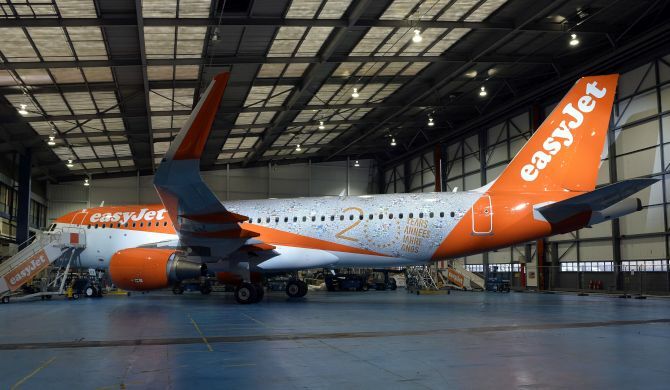 The new EasyJet smart uniforms will make the crew members easily recognizable in an emergency as well as help them to provide great service to passengers. 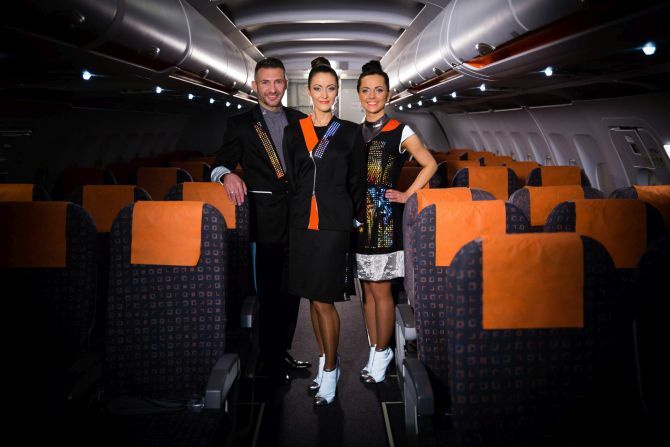 Finished in EasyJet’s well known orange and black color scheme, the cabin crew uniforms comes with LED lights on shoulders, lapels and hems. Besides offering extra light in emergency, the LEDs will also be displaying information like flight numbers and destinations. 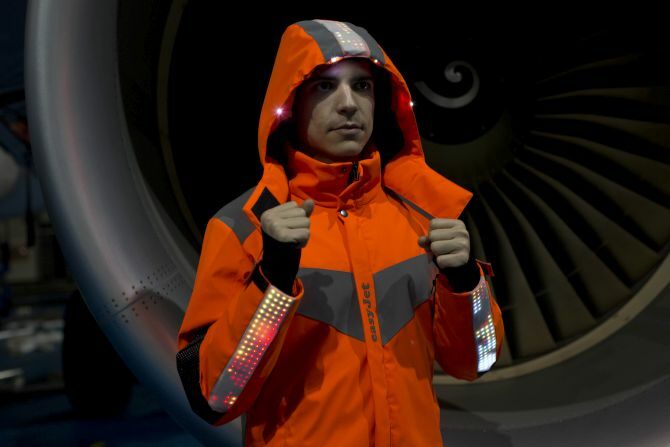 Moreover, they are packed with built-in microphones to improve communication between the crew members, pilots and passengers. 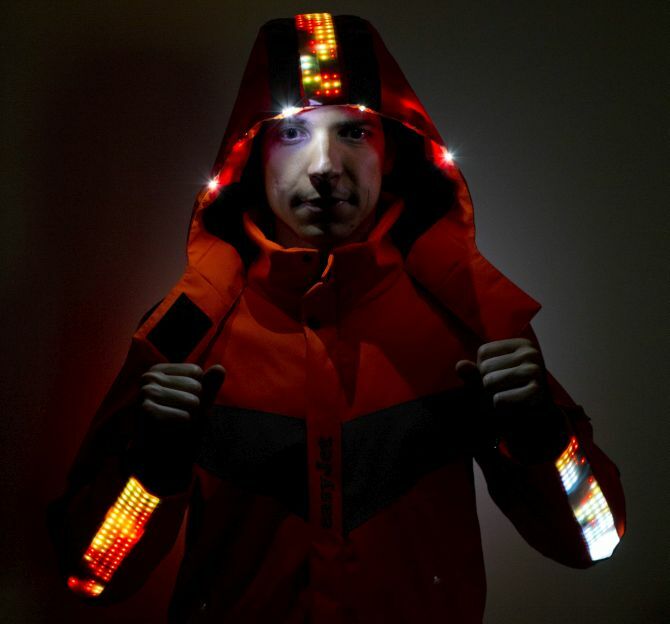 The new aircraft engineers’ uniforms will feature LED lights to provide hands-free light while performing inspection and maintenance work. Reflective laser cut decorations will improve visibility and the built-in video cameras will offer remote diagnosis. Also, the integrated microphones will provide easy and better communication with other crew members. Furthermore, the uniforms will come with integrated air quality sensor and barometer to monitor air quality in different cities. 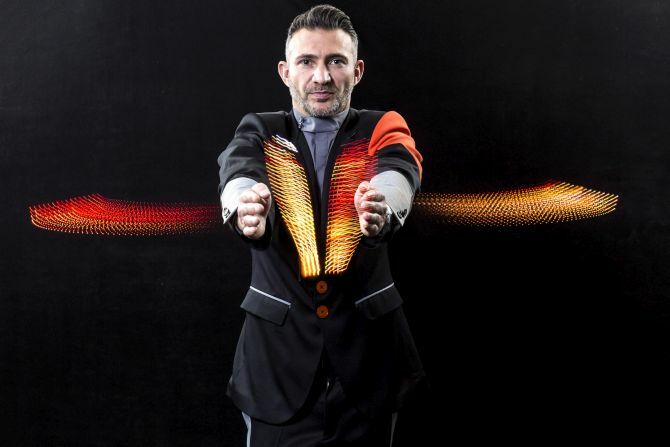 EasyJet will start trialing the new uniforms embedded with LEDs and sensors in 2016. 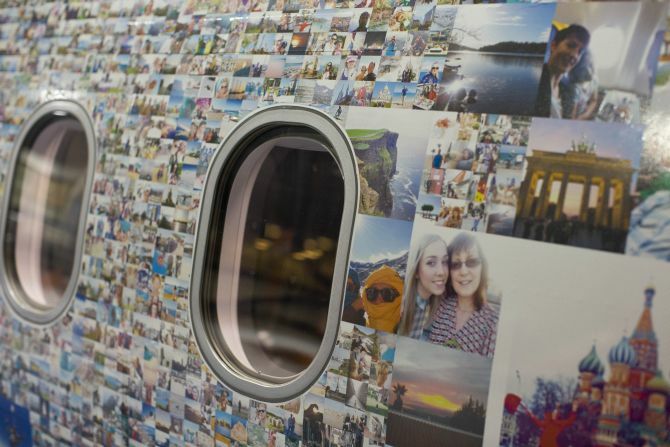 Celebrating its 20th anniversary, the budget airliner also unveiled a special livery aircraft displaying more than 100,000 of its customers’ holiday pictures.